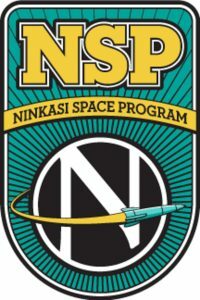 The Ninkasi Space Program (NSP) was born in the summer of 2014, with the goal of exploring the possibilities of the interaction of beer and space. The first mission would be to launch yeast into space, recover the yeast and brew beer from it. This would turn out to be quite a complicated undertaking, and not a particularly inexpensive one. “I don’t think you could have planned a more perfect pairing of beer and space geekery,” said Nikos Ridge, CEO and co-founder of Ninkasi, which is based in Eugene, Ore. The first attempt didn’t go so well, at least for the yeast. The team at Ninkasi worked with the Civilian Space eXploration Team (CSXT) on the project. 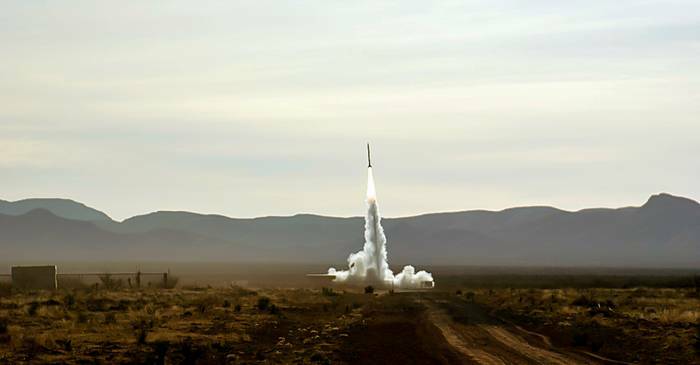 The amateur rocket group launched a rocket on July 14, 2014, in the Black Rock Desert of Nevada. The rocket launch was a success, but the recovery of the payload of yeast samples was not. Even on dry ice in a custom, 3D-printed payload container the yeast could only last about 10 hours in the harsh heat of the Black Rock Desert. It ended up taking 27 days to recover the payload. Sadly, the rocket had lost tracking signal soon after landing, which ended up being nine miles off target amongst some rocks on a mountainside. The CSXT rocket launch did set a number of records though, even if it did not return viable yeast to the NSP team. The rocket set records for highest altitude amateur rocket launch; fastest speed amateur rocket launch; and first photo taken from space onboard an amateur rocket. It was only the second amateur rocket in history to reach space. The NSP team regrouped and found an opportunity for a second attempt only a few months later, in October of 2014. This time the team worked with the professionals at Up Aerospace in Truth or Consequences, New Mexico. The rocket launched from Spaceport America, burning all its fuel in just 12 seconds. It reached space in under 60 seconds, achieving an altitude of about 77.3 miles, or 408,035 feet, above the Earth and providing a weightless environment for the yeast for more than four minutes. This time a U.S. Army support helicopter made a swift recovery of the payload and delivered the yeast back to the NSP team in short order. Six brewers yeast samples had been to space and back again, and they were still viable for beer production. Now that the NSP team had yeast samples that had been to space, it was time to brew some delicious craft beer. They decided on an Imperial Stout brewed with hazelnuts, star anise, and cocoa nibs. Ninkasi used Apollo, Bravo, and Comet hops in keeping with the space theme. 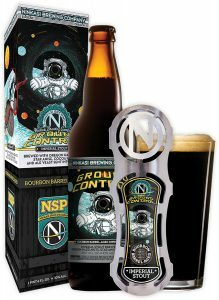 Ninkasi Brewing calls its space beer “Ground Control.” The first edition was released in April of 2015 to great praise. The second limited edition Ground Control was barrel-aged in Old Forester Bourbon Barrels and released in April of 2016. The barrel aging gives the Imperial Stout a complexity and smoothness not found in the first edition. For 2017, Ground Control will be released in November, after being aged in Woodford Reserve Bourbon barrels for a full year. One question that always arises is if the beer tastes different because it went to space. The answer is no. The NSP team brewed samples from the same strain of yeast that both went to space and that did not, with side by side blind testing. Testers reported no noticeable differences in taste. Ninkasi went above and beyond in promoting this beer. It produced music, artwork, and events around the product. Ninkasi has an in-house music studio, Ninkasi Studios, located on the ground floor of its new LEED-certified office building in Eugene. It supports the arts in different ways. Wanting something special to promote the launch, it created the song “Ground Control” with Marv Ellis and We Tribe. It’s a catchy tune that compliments the beer and the program. 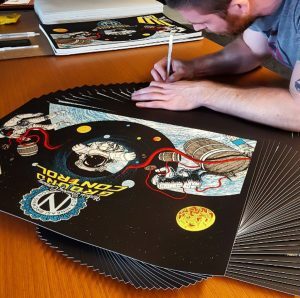 Ninkasi worked with gig poster artist Neal Williams, its first artist-in-residence, as well as its in-house art team, to create stunning imagery to represent the Ninkasi Space Program, especially the bottle and packaging art. 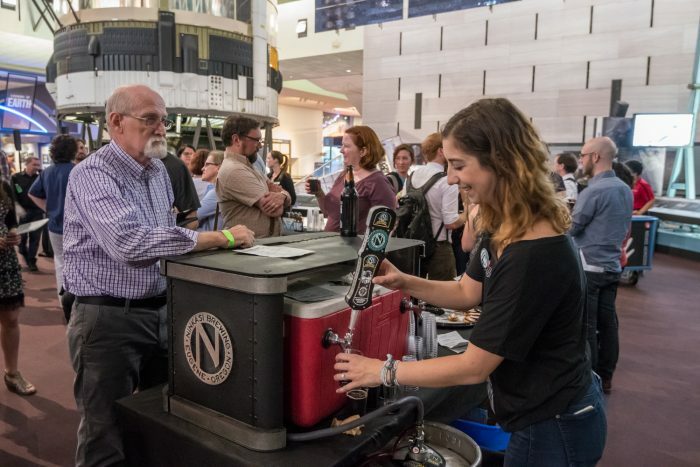 This week, Ninkasi hosted a gathering for Yuri’s Night, a worldwide celebration of human spaceflight, at the Smithsonian Air & Space museum in Washington, DC. The event featured five of Ninkasi’s beers, with food pairings. It culminated in a sampling of the 2016 Ground Control, on tap. The event had talks by Ninkasi’s head brewer and co-founder Jamie Floyd about beer and its connection to human space travel. The beer news comes as multiple private companies prepare to take commercial clients into space. Ninkasi Brewing beers can be found in all Western states, western Canada and a few eastern states (NY, MD, DC, VA). If you manage to find a bottle, or two, of the very limited edition Ground Control, grab it quick. Cheers!